An Israeli startup, Nobio Ltd., says it has developed particles that, when infused into a surface, kill germs as they land on that surface. 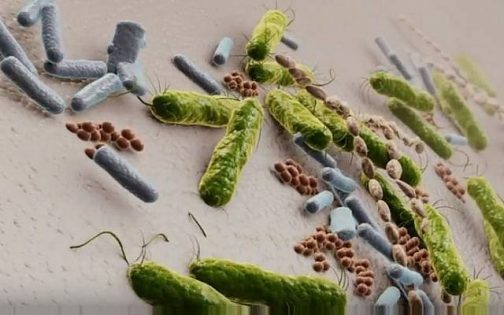 The technology will help fight bacterial infectious diseases, which account for 15 percent of global deaths, the company said. The startup is seeking to use its technology initially in the dental industry, creating materials for dental fillings or so called dental restorations. 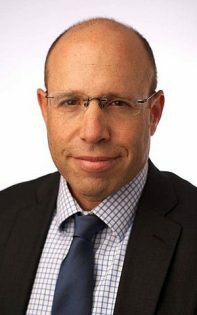 The company intends to apply for FDA approval for its first products by the end of August, said Nobio CEO Yoram Ashery in a phone interview, and is looking to set up a manufacturing plant. Caries (tooth decay) are caused by the effect of acids produced by sugary food on the enamel surface of teeth. The acid is produced when sugars react with bacteria present in the dental plaque on the tooth surface. Tooth decay is the most common chronic infection in the world. Composite restorations (tooth-colored fillings) are very popular but fail mainly because new caries form at the restoration margins. About two-thirds of procedures are replacements of failed earlier restorations. Replacement dentistry costs $5 billion a year in the US alone, Nobio said in a statement. And there is currently no solution to this problem. Nobio, based in Petah Tikva, was founded in 2015 by Prof. Ervin Weiss, an oral rehabilitation specialist and the dean of the School of Dental Medicine at the Tel Aviv University and Julia Rothman. The technology is a spin-off from Weiss’s academic research done at the Hebrew University of Jerusalem. The startup is looking to create materials for dentists that incorporate their particles, or alternatively work with manufacturers of these products to have them incorporate the particles into their compounds. Once germs settle on a surface they grow rapidly and colonize the area by creating a glue-like matrix called biofilm, which makes the bacteria 1,000 times more resistant to antibiotics, disinfectants and the immune system. Biofilm can be found on medical devices placed in bodies — contact lenses, dental fillings, implants and catheters. Yoram Ashery, CEO of Nobio Ltd. Enter Nobio, whose anti-microbial particles bind with a wide range of materials and can be incorporated into them, such as contact lenses, tooth fillings and implants. As bacteria approach the surface, the particles exert strongly attractive electrostatic forces. On contact the membranes of the bacteria are disrupted, causing them to die. The particles can be incorporated into any material, on which no bacteria can then grow or survive, explained Ashery. They are killed on contact. Existing antibacterial solutions, such as antibiotics or disinfectants, are soluble and both toxic and impermanent, but Nobio’s particles are not soluble and rather are embedded into the material, so they are permanent, nontoxic and highly effective, he said. Earlier this week Nobio closed a $3.6 million investment by aMoon Fund and Dr. Ole Jensen, a surgeon and dentist, and a co-founder of ClearChoice, the largest US network of dental implant clinics, recently acquired by Sun Capital. The money raised will help fund regulatory submissions for the dental products, setting up the manufacturing facility in Israel, and marketing the company’s first products, Ashery said. The firm is expecting its first FDA approval by the first quarter of 2019, said Ashery. The company employs some 15 workers in Petah Tikva, and is planning to move to the production site when it is set up in central Israel. Nobio is also developing the use of its technology in several other high-volume industrial applications as well as medical devices to prevent infections. “There are endless numbers of products” that can benefit from this technology, said Ashery.